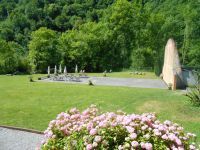 Bed and Breakfast in the beautiful Aspe valley in the Pyrenees. 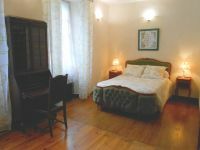 Set in a 10 acre parkland next to the Aspe river. Breakfast included, evening meals on request. 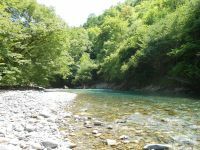 Easy to find, only 200 meters away from the national road 134. 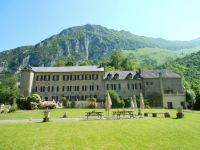 Near all the famous cols of the Pyrenees: Tourmalet, Aubisque, Marie Blanque, la Pierre Saint Martin. Une belle moto dans notre grand local sécurisé Motards anglais aux Fontaines d'Escot ! 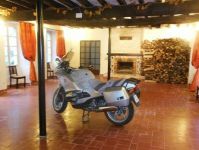 Motorbikes can be stored inside in a very large room that we lock at night. Tools can be lent on request. There is also a large parking area outside.